K’ya Bistro was an experience. Located inside the La Casa del Camino Hotel, I was excited to eat here after exploring Victoria Beach. Opening at 1929, at first glance, the hotel seemed like a classic. 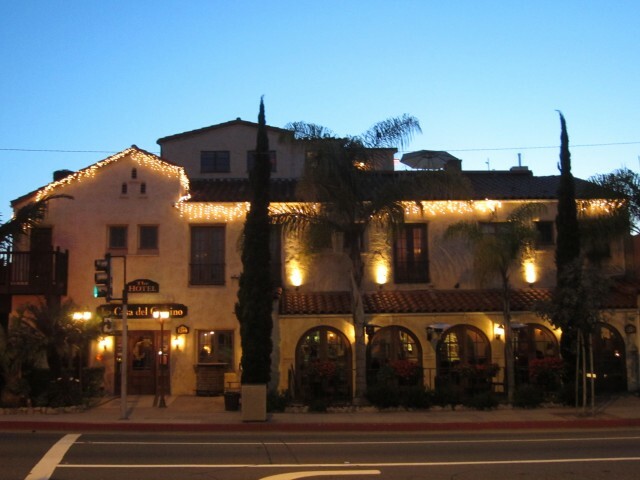 The Historic Mediterranean style hotel is located in the southern pocket on Laguna Beach. Being right next to the water, this was a beautiful location. 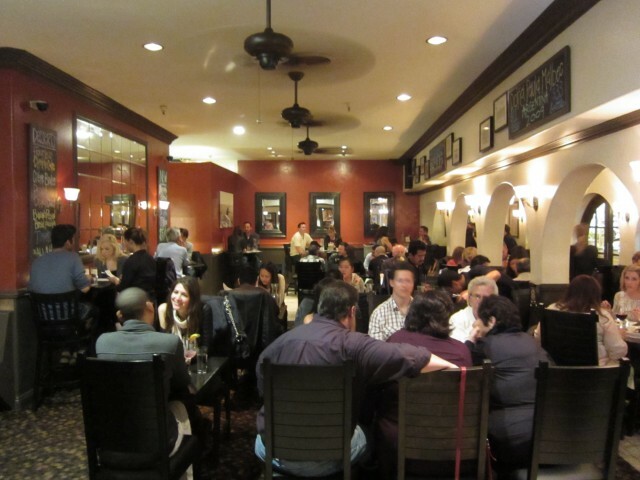 Inside this Historic hotel was K’ya Bistro, a Mediterranean / Small Plates Tapas restaurant. In a word, the inside was elegant, but the prices were affordable. We started off with the wild hawaiian ahi poke. 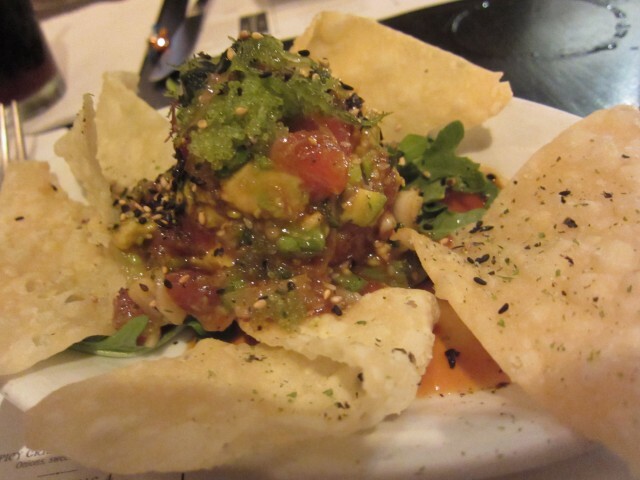 A mixture of onion, seaweed, avocado, spicy soy, and ahi tuna was a fresh dip for the fried wonton chips. Though the wonton chips were greasy, the dip was bearable. The avocados were creamy and the acidity of the ingredients helped with the greasy chips. The ingredients melded well together, but the fish could have been fresher. But stating these things would be nitpicking. This was a great start to our dinner at K’ya Bistro. The lobster macaroni and cheese was a surprise. It didn’t have all that much lobster in it — not a lobster chunk in sight. The noodles were elbow, pretty standard. The cheese sauce was a cognac cream sauce — tasty. 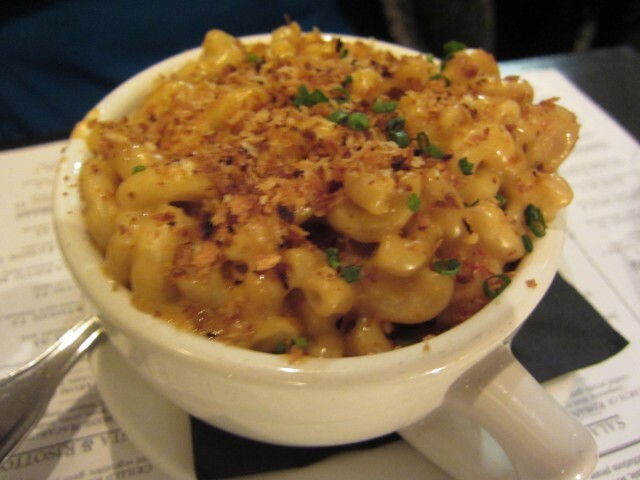 Even though this was a standard mac and cheese, I loved it. The fact that it was pretty much like the Kraft Blue Box mac and cheese helped a lot. As a kid, I lived off of that stuff. The noodles in this were actually al dente — the cognac cream was a nice touch and the parmasean crust gave it the crunch factor. Though the lobster was scant, the little that it had was nice. When I saw filet minon for 10 bucks, I was shocked. It must taste like crap, and it must be small is what I thought to myself. I was totally wrong. Well, half wrong. It didn’t taste like crap, but it was small, as expected. The side of organic polenta was a delight and the side spinach made sure I had my greens for the day. 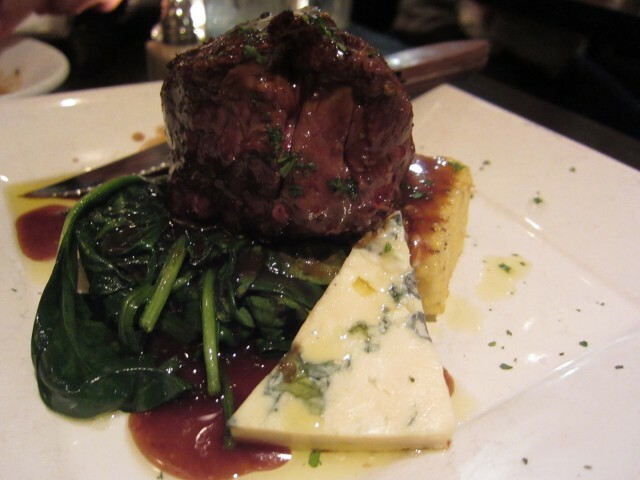 The large wedge of blue cheese made for a creamy, pungent “sauce” for the filet. The filet was cooked perfectly and was butter soft. All this for 10 bucks? I should have ordered 2! We ended things with the creme brulee. Is it weird that I am writing this while enjoying a Caramel Brulee Frap at Starbucks? The creme brulee was a great finish of a tasty dinner. The fresh fruit on top was a nice touch — it kind of makes this cream on sugar on fat dessert more of a healthy dessert. 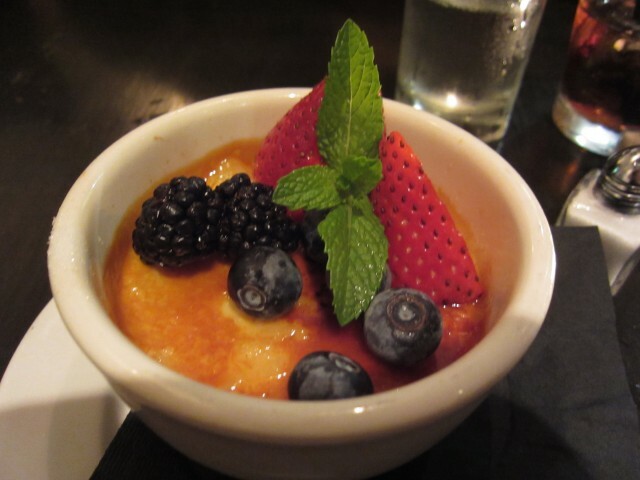 It was custardy and sweet with a nice crunch of the brulee. 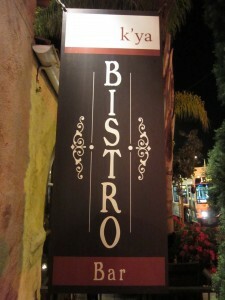 K’ya Bistro Bar in La Casa Del Camino was surprisingly affordable. The small plates allowed us to have a lot of variety and didn’t hurt the wallet. I mean, where else can you get filet mignon for 10 bucks? I don’t even think Vegas can do that. The beautiful scenery, close proximity to the beach, and small prices makes K’ya one of my favorites in Orange County. 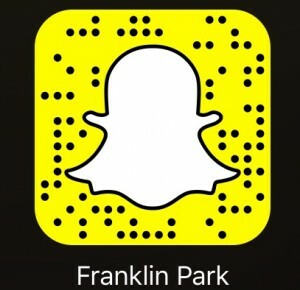 Depending on how hungry you are, or what you are in the mood for, they got it covered. Expect a wait though, it gets pretty busy during dinner. The hotel also has a rooftop lounge. That would be perfect for a nice lunch in the sun or a nice view of the sunset during dinner. I guess La Casa Del Camino has everything covered.